My ironing lady recently told me that she would need to reduce the hours she spends on our copious ironing pile. It was a sad moment, but I fully understood. After all, she has been ironing for us for over two years, and I have never paid her a dime. The fact is, she’s more than just my ironing lady. She’s actually my pastor’s wife. In Christian circles, there’s often pre-conceived notions of how a Pastor’s wife should look like and act. Being a volunteer ironing lady is not normally an expectation of the duties of a pastor’s wife. In fact, I would hazard a guess that there are Pastor’s wives have volunteers that do their ironing for them rather than the other way around. Which is fine, and I’m sure they are blessed by such service, and so they should be. But generally, Pastor’s wives do ‘important’ jobs like run the women’s ministry or kids program or are on stage on Sunday morning. Which are also great roles for Pastor’s wives – if that co-incides with their gifting. The wife of our pastor, is not the type to enjoy being in the spotlight. And quite frankly, if she were forced to do this, she really would not be very good at it, because that is not what she was created to do. Which is why we are very blessed that her husband, (our senior pastor) and consequently our church are not the types to accept stereotypes. Within our community people are not forced into ill-fitting boxes, but rather encouraged to shine in the area that God has gifted them, according to their God-given character and personality. Within our church family, we hear teaching illustrating the Kingdom of God as an upside down scenario. This upside down kingdom starts with central ingredient of our faith. Jesus. A king, set to earth from heaven. Born in a shed full of animals, to a teenage girl from a small country town. God, walking about as a man, in the most humble conditions, so that he can serve the people of the world in the best way possible. Our upside down church is made up of people who feed the poor, reach out to the lonely, minister to the needy. Our little church is well known for fostering unity within the various churches and denominations within the city and voicing the message of forgiveness, healing and unity throughout the nations. At first glance our church may seem insignifcant. Our church doesn’t have a fancy building, just an old warehouse once used for manufacturing. We don’t have an enormous congregation and there isn’t a cast of superstars lined up the front every Sunday morning. But within those walls, you will find Jesus there and you will find people loving others like Jesus loved, unconditionally and without expectation of rewards. Which leads me back to my ironing pile. After I became pregnant with the triplets and around the time I was starting to slow down and have to take things easy so that the babies would cook for as long as possible, Betty, our pastor’s wife, came and had a chat to my mother and asked what she could do to help. Late last year Betty let me know that she wouldn’t be able to help me as much. Of course I was totally fine with that. I have often been worried that I was using up her precious time when there were other tasks that she might better use her time doing. Her response to me when I once said this to her was, “Caitlin, you don’t need to worry about me. It’s an honour and a privilege to do this for you.” Who considers ironing an honour and privilege, I ask you? Somebody who understands the upside down nature of God’s kingdom. That’s who. So, from one of the most unassuming women on the planet, (but I have learned that this makes her one of the greatest) I have learned not just about humility, but also a host of lessons that seem simple, but are actually helping me to become more Godly and a better wife, mother and woman. Over time, without anything being said, I noticed that Betty developed a pattern of turning up at our place at 8:30 in the morning and leaving by 3 in the afternoon. One day she arrived with her own iron. My iron at the time had been dropped once and leaked water a bit. Betty had solved the problem by wrapping old hankies around the handle as she ironed. On that particular day she had not been able to find her hankies before leaving, so she arrived with her own iron to use instead because she didn’t want to be late. It made me marvel. I am regularly late to things. To give such an importance to a volunteer event with no prescribed time, is not something I would have considered doing. Occassionally Betty has had other things on the time that she normally comes to our house. She always lets me know in advance and most of the time she will come over, get my baskets of ironing and take them away then bring them back wrinkle free and hanging on hangers. I’m still working on not being late to things, but the image of Betty, always punctual and how much I have grown to appreciate her reliability, keeps driving me to improve in this area. I have shared before the trials of raising a strong willed child. Sometimes I’ve felt self conscious as I’ve had to deal with these battles around Betty. 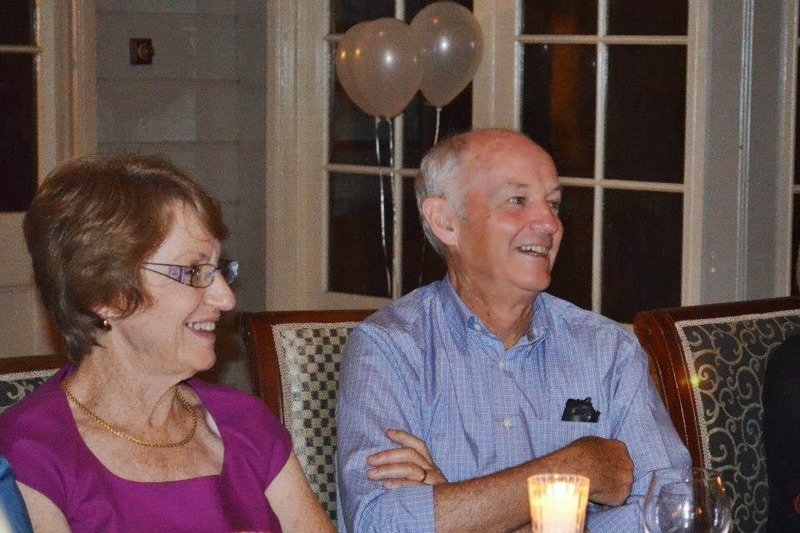 Betty and Ian have raised five wonderful children, all adults now, serving God and excelling in their vocations. I asked her once where she thought I could improve in my mothering. She replied that she thought I was doing a great job. Which was encouraging, but I know also, that there are areas I can get better at. So on another occasion I asked what she think most helped in the molding and shaping of her children’s lives, she answered praying for them each night made a big difference. I already prayed for my kids at night, but it has given me renewed vigour to continue doing this! cause I have had a fresh revelation of the power that comes in offering somebody unconditional love and acceptance. To give up a day a week, to do someone’s ironing – what a sacrifice! And that’s not all Betty does. She cooks for others, especially for a girls camp that happens regularly for girls that have not necessarily had great opportunities in life. Betty will give up her weekend to cook for this event, as well as time planning and preparing for it. She also helps look after her grandchildren throughout the week and regularly has guests in their house. It has made me determined to do what I can for other people. I know Betty’s example will always remain in my mind, and will influence the way I respond to others around me when my own children are grown and I may have a little more time on my hands. There are few genuinely selfless people in this world. Betty really is one of them. I am so thankful that I have got to know my pastor’s wife so much better in recent years. She has been such a blessing to me and my family. My children love her dearly and have just matter of factly, as children do, consider her a part of their lives. It probably helps that she has been holding them and talking to them for as long as four of them can remember. (Trent wasn’t even two when she started helping around the house.) Jayden has been particularly been perplexed in recent days to see me at the ironing board. I normally iron when he’s asleep, but it was getting out of control for awhile there, so I was doing it while the triplets were awake. My husband has also informed me that I do not iron not nearly as well as Betty. Which really is no problem because now we have gone back to our former arrangement where he irons his own clothes. Betty rang up the other day. She is an avid tennis fan and player and had been watching it on TV feeling guilty that she wasn’t doing anything. (Industrious, that’s another word you can use to define Betty.) She asked if I had an ironing pile she could take. I indeed did. A backlog from Christmas I hadn’t been able to clear. I don’t think I’ve ever been more thankful for the sport of tennis. So Betty, thank you, from the bottom of my heart. I’m sorry for the embarrassment I’m sure you’ll feel when you see I’ve written this, but I’m not sorry for letting everyone know how wonderful you are and give a perfect example of a Christian woman working in God’s upside down kingdom according to your giftings. Thank you also to Ian, our senior pastor who as often is the case, is the total opposite to Betty. He certainly is not a behind the scenes man, but an out the front, strong talkative leader. Nevertheless, he resembles Betty in his servant heart, which makes the best leaders of all, after all. I’m thankful that he releases his wife, and multitudes of others within our church, city and nations to use our own personal giftings and find our purpose and passion and contribute to the Kingdom of God on this earth while we are awaiting the time we will dwell in our Heavenly home. What do you think? Is it fair that Pastor’s wives have pre-conceived notions on how they should act? Can you share an example of how you have seen someone perfectly illustrating God’s upside down Kingdom? I have always believed in the power of prayer. I believe prayer changes situations and I believe prayer changes people. I believe every prayer is answered, but I think that sometimes the answer that we receive may not be the answer we expected. I believe in the sovereignty of God and that His will is always accomplished. I believe there are some things that would not be accomplished if it were not for the fervent prayer of believers. There are times I believe God requires us to pray not because he is unwilling to activate his power in our lives, but by because He knows that the humility required to ask a higher power for intervention makes us stronger and better people as we recognise that on our own, we are not enough. We have been designed to be in relationship and to rely on a Heavenly Father. Prayer puts us in a position of reliance, hope and expectancy. On Day 3, I was reading how the author kneels to pray, he was relating a story where he was challenged to kneel and pray in a busy airport. (Which he was obedient and did.) I am quite good at praying. (Recognising that I still have room for improvement.) Generally I pray all throughout the day. I love that feeling of communion with God as I progress through my day. Coming from a charismatic background, kneeling isn’t my usual posture for prayer. It’s not that I don’t agree with it, or haven’t done it, it’s just not the usual prayer position for me. After reading the chapter, I was challenged to pray on my knees. I actually set the timer on my iPhone and told God I wanted to pray fervently for 10 minutes. I know it doesn’t sound like much, but it’s easy to be distracted, especially since becoming a mother. I wanted a tangible time that I would dedicate to praying for specific requests. I figured that nothing to horrible should happen to the kids if it were ten minutes, (Especially when the triplets were in their cots, otherwise, I must admit that a lot of damage can happen in ten minutes! ), it was just going to be ten minutes of me 100% focussing on God, and not a prayer that I am multi-tasking while saying it. On my knees, there is a sense of abandonment. There is subserviance, humility, there is an eagerness to be heard and to hear. And there is power. Almighty power. I have had no great answer to prayer. Yet. I have a list. I will continue to pray. There will be change. Maybe within me first. I will share testimonies of that change. I have faith that it will occur. But most of all I am in awe that the God of the Universe is interested in me. Hears my cries. Sees my tears. Delights in my thankfulness. So I will continue for ten minutes each day to connect with Him. On my knees. During today’s church service. The kids were being sermon illustrations! Mothers Day is always a lovely day to reflect on Motherhood. I consider being a mother a gift from God. My husband and my children are the best gifts I have ever been given, and I treasure my family with all my heart. I am constantly in awe that God has entrusted me with these two precious lives to raise. It is my strongest prayer that The Accountant and I are able to bring up two men who serve their God, are polite, strong, hard working and make a difference in this world. It is the hardest job I have ever done and the greatest job I can ever do. For me, when I reflect on being a mother I always remember the journey to motherhood on the roller coaster of infertility. It took five years from when The Accountant and I began officially ‘trying’ until I discovered that I was pregnant with my J Boy. Those years are some of the best and worst years of my life. I describe it as a roller coaster, because I can think of no better analogy. I have to admit, it’s not as fun as a roller coaster, and you don’t walk away laughing. When you walk away, you feel relieved that you survived. I had the moments of clarity, at the high points. The moments when you push aside your pain for a moment, and just enjoy your husband. I thank God that we didn’t choose to constantly wallow in self pity, but made the most of our time alone together. We did some wonderful things, that you really can only do without children. We travelled to Asia, The Middle East and the USA as well as extensive explorations of Europe and the UK, (including living a year in London), we entertained friends and family without the hassle of factoring children into the equation, we were able to build up a healthy bank account (or course important to The Accountant) which has taken much the pressure off us when I did become a stay at home mother. We dined out regularly, saw shows and popped down to The Beach or made a trip to the city on a whim. And there was unique opportunities that we were able to serve God in our church without the responsibilities of parenthood. And then there are the moments when you leave the heights and hurtle down steep slopes. You hang and pray that you’ll make it as emotions rush through you. “What if I never become a mother?” That phrase pounds in your mind, it clouds your vision, it weighs heavy on your heart. “What if I never become a mother? What if I never become a mother?” It is relentless, it’s always there, sometimes tucked away in the corner of your mind, sometimes there is nothing else you can think about. It is a worry, a concern it is your worst case scenario as your emotions hurtle down that slippery slope. But then you pause. You reflect and consider that God is in control. You reflect that if you never do become a mother, it will be his will. The Bible says that God cares for us, He has the best planned for our lives, He has a plan and purpose. We have been placed on the planet for a reason. Could that reason not include motherhood? Is my worst case scenario in fact not the worst thing that could happen in my life? If God has other plans for my life, there may be pain, but surely his way is higher, his purpose is noble and true? As you consider this, you allow him to place an ointment on that open wound of infertility. You trust Him. You place all your faith, trust and confidence in Him, your future is in His hands, and even if it doesn’t turn out the way you plan, you know it will be great, and it will be good. There is much solace in being in relationship with God. Of course the roller coaster continues. There are moments of exhileration surging through you as you place your hand in God’s. Fear returns sometimes as you look at your circumstances and look at the twisting, jolting track before you. But you either shut your eyes or throw your hands in the air and embrace the life that you have been given and continue the ride with the best roller coaster companion ever, confident that you will not only survive, but it will be glorious. Survive I did. I am always blessed that God did bestow the gift of Motherhood to me. I never understand why there are some of us who have to endure ‘the wait’ and why there are some that do not receive this gift of motherhood. But I know that there are other gifts that God has given them, that he is faithful and true and that he does not have favourites. Perhaps one day we will see the blueprints of his Divine masterplan, but until we do, we fix our eyes on Him, pick up our cross daily and follow Him. And as we do, we consider how fortunate we are to intimately know The God of the Universe who cares for us. Saint Patrick – The Man. As I’ve been researching St. Patrick’s day I have been understanding exactly why we should celebrate such a day. St. Patrick was a truly remarkable man, as men are when they allow their lives to be governed by the Holy Spirit. He was born in Scotland and was kidnapped when he was 16 and sold into slavery in Ireland. According to his “Confessio”, (his autobiography), he believed that the reason he and thousands of others were captured, taken from their homes and families and sold into slavery, was God’s wrath. He believed he had brought his circumstances upon himself because he had not been walking with the Lord. While serving as a slave, he learned the culture and the Celtic language that later he would speak to convert the Irish people to Christianity. Most importantly during this time, he discovered God while herding his master’s flocks and had such an amazing conversion experience that it affected the rest of his life. Therefore, indeed, I cannot keep silent, nor would it be proper, so many favours and graces has the Lord deigned to bestow on me in the land of my captivity. For after chastisement from God, and recognizing him, our way to repay him is to exalt him and confess his wonders before every nation under heaven. Reading that gave me prickles down the back of my neck. This guy really knew God – and well! 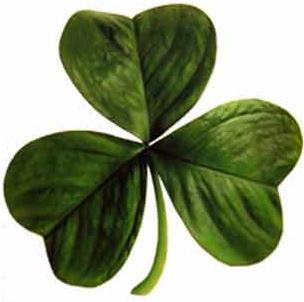 Legend says that St. Patrick used the shamrock to illustrate the Holy Spirit being three entities within one, just as the shamrock is three leaves within the one leaf. I’ve seen little evidence to prove this, but it certainly is a good illustration, and as you can see by the quote above, St. Pat certainly understood the trinity. With all the shamrocks around for St. Patrick day, I’ve used this to explain the trinity to J Boy. (He is still a bit young to fully comprehend it though.) If he did use the shamrock for this purpose, it would also make sense because the shamrock was considered sacred by the druids. St. Patrick said that while herding the flocks he would pray. But after I reached Ireland I used to pasture the flock each day and I used to pray many times a day. More and more did the love of God, and my fear of him and faith increase, and my spirit was moved so that in a day [I said] from one up to a hundred prayers, and in the night a like number; besides I used to stay out in the forests and on the mountain and I would wake up before daylight to pray in the snow, in icy coldness, in rain, and I used to feel neither ill nor any slothfulness, because, as I now see, the Spirit was burning in me at that time. I love how he says, “the Spirit was burning in me at that time.” What a passionate teenager he must have been. His passion was obviously fueled by such a close relationship with God. ld honey, besides, and they offered a share to me, and one of them said: ‘It is a sacrifice.’ Thanks be to God, I tasted none of it. He was also taken captive for a second time, but this time God told him it would be only for two months, and he escaped on the 60th day. He made his way back to his father’s house. His family begged him not to leave, but God had greater plans in store for his life. St. Patrick received a vision that convinced him to return to Ireland. And, of course, there, in a vision of the night, I saw a man whose name was Victoricus coming as it from Ireland with innumerable letters, and he gave me one of them, and I read the beginning of the letter: ‘The Voice of the Irish’, and as I was reading the beginning of the letter I seemed at that moment to hear the voice of those who were beside the forest of Foclut which is near the western sea, and the were crying as if with one voice: ‘We beg you, holy youth, that you shall come and shall walk again among us.’ And I was stung intensely in my heart so that I could read no more, and thus I awoke. Thanks be to God, because after so many ears the Lord bestowed on them according to their cry. St. Patrick had a period of training to be a Catholic missionary in a monastery in France. Here he had trained under St. Germain and excelled in a variety of areas. A writer of St Germain’s life in wrote: “Since the glory of the father shines in the training of the children, of the many sons in Christ whom St Germain is believed to have had as disciples in religion, let it suffice to make mention here, very briefly, of one most famous, Patrick, the special Apostle of the Irish nation, as the record of his work proves. Subject to that most holy discipleship for 18 years, he drank in no little knowledge in Holy Scripture from the stream of so great a well-spring. Upon his return to Ireland in 432, one of the first things St. Patrick wanted to do was to return to where he had been a slave and pay the price of ransom to his former master. Now, doesn’t that just tell you something about his integrity? Especially when his object was to exchange the cruelty and servitude for blessings and freedom. On his way he was a chieftain tried tried to prevent him from travelling further, but when he raised his sword, his arm became stiff as a statues until he proclaimed he would be obedient to St. Patrick. He then because he was so impressed by the miracles he saw and St. Patrick’s meekness, he donated a barn to him. This became the first sanctuary dedicated by St. Patrick. It later became a retreat for the St. Patrick, and a monastery and church was built on the site. When he continued on his journey, St. Patrick was horrified to find his former master, when hearing of St. Patrick’s miracles, was filled with fear and burned his possessions and himself. His many years as a slave in Ireland were somewhat of a blessing in disguise. Those years had taught him the language, customs and rituals of the Irish Celtic people. This understanding of their culture enabled him to speak to their hearts and respect their spirituality. Instead of just preaching religious dogma, ethics, and the pursuit of eternal life St. Patrick wisely incorporated mysteries, symbols, and rituals with which they were already familiar to explain Christian principles. He never asked them to stop believing in the supernatural beings they had worshipped for eons. Instead, he told them to regard these “gods” whom they had feared for so long as demons. Instead of fearing them, they could have the power through Christ to defeat them. Naturally he met great resistance from the druids. They tried to arrest him, and even kill him. But they were not successful because it was ‘not his time’. In his Conffessio, St. Patrick explains that he did not take gifts that were offered to him from wealthy women or accept money for baptising people as he wished to remain above reproach. His efforts were not in vain. He was successful in bringing Christ to a nation that steeped in paganism. So, how is it that in Ireland, where they never had any knowledge of God but, always, until now, cherished idols and unclean things, they are lately become a people of the Lord, and are called children of God; the sons of. the Irish [Scotti] and the daughters of the chieftains are to be seen as monks and virgins of Christ. There is a lot of myths and legends surrounding the life of St. Patrick. We do know a fair bit of his amazing life because there are two accounts written in his own hands. St. Patrick’s autobiography, Confessio has been written by him towards the end of his life. The blue italicised quotes I’ve included have come straight from his Confessio. You can read it here. There is also a letter written by St. Patrick to Coroticus pleading for the freedom of many of his followers who were being held as slaves. It is remarkable because it is a written testament to St Patrick’s opposition to slavery. St Patrick of Ireland loved the land and her people. He knew that freedom was an inalienable right of humankind. St Patrick of Ireland was the first Christian leader to publicly and passionately proclaim slavery to be opposed to God’s will. St. Patrick was no doubt a remarkable man passionate and devoted to God. Accordingly, through the power of God, many miracles and amazing things were performed. While researching about him I have been inspired by his life story. It makes me want to develop my own prayer life and closeness and intimacy with God. It’s a shame that in all the celebrations around the world on St. Patrick’s day more consideration isn’t given to the extraordinary life of this man. However, his legacy is great, and for those who chose to remember the man for who this day is to honour, indeed remember a man who made himself available to be used by God in such a mighty way. I am a big fan of Christmas. BIG. FAN. Christmas 2010 was no disappointment. I’ll fill you in on the details soon, however I thought I’d have a little moment of reflection on Christmas. Being a devoted follower of Jesus, the religious significance is the most important aspect of Christmas for me. As a Christian the arrival of Jesus on earth is central to my core beliefs. We were created by God but it was through the sacrifice made by Jesus that we have been able to enter into a relationship with God. This is the beauty of Christianity. To have a relationship with the God who created the universe is no small thing. It means that throughout the day I can constantly have chats with God. You don’t know how many times the big guy upstairs has helped me find my keys, or gives me unreal carparks. When I’m in the middle of all the Mummy moments that happen during the day, I am having a dialogue with God. The Holy Spirit pops little gems of wisdom into my mind constantly. It’s awesome. Having Him as my Father, most certainly makes me a better mother. Not to mention a better wife. Not mention a better person. So why not celebrate the day he arrived on earth? After all that was the event that started the ball rolling so that eventually the tomb rolling would happen. I am often in awe that so many of those who don’t acknowledge Jesus experience so many elements of Christian principles as they celebrate Christmas. When Jesus is the basis of a celebration it’s no wonder that words like “Love”, “Peace”, “Hope” and “Joy” are associated with Christmas. Actions such as generosity are widespread. Family and friends are cherished. Laughter, smiles and high spirits abound. It’s a time when the teachings of the Bible are demonstrated throughout the world. In the car the car travelling home, J Bomb posed an interesting question. Nice in theory. So easy to explain to a child. It’s us adults that need to remember we are required to share God’s love with ALL people.